This tastes much like a German potato salad since it does not use mayo. 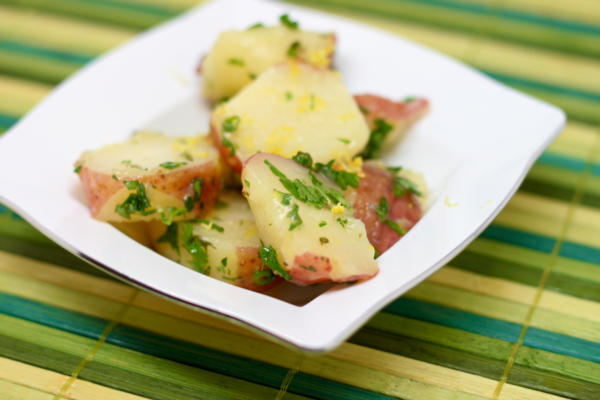 But instead of vinegar, this one uses fresh lemon and tons of great fresh herbs to make a bright, fresh potato salad that is a sure hit ! Steam potatoes 15-20 minutes or until tender. Mix lemon zest, lemon, salt and pepper and pour over cooked potatoes. Refrigerate 1 hour. Mix herbs and oil and mix into cooled potatoes. Chill for an hour or more so flavors mingle. Stir again just before serving. 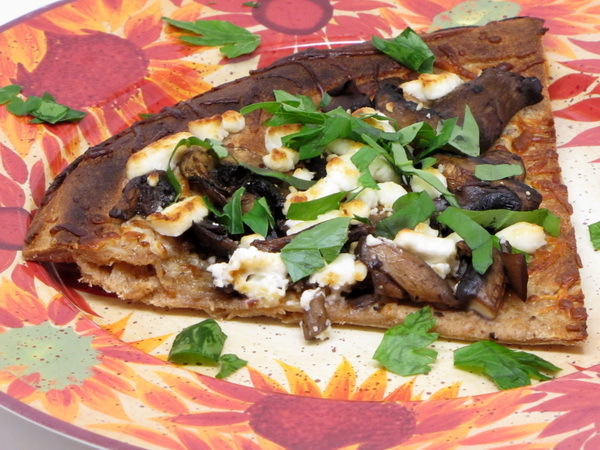 There is just something about goat cheese pizzas that are so good – I think goat cheese is just meant to be eaten warm 🙂 You can increase the serving size and make this a lunch instead of an appetizer ! Cook mushrooms in oil until tender then sprinkle with salt and pepper and drizzle with vinegar. Cook until vinegar is all evaporated. Preheat broiler and cook pizza crust 3 minutes then remove and spread with mushrooms and sprinkle with cheese and continue cooking another 6 minutes or until all heated through. Sprinkle with herbs and serve. 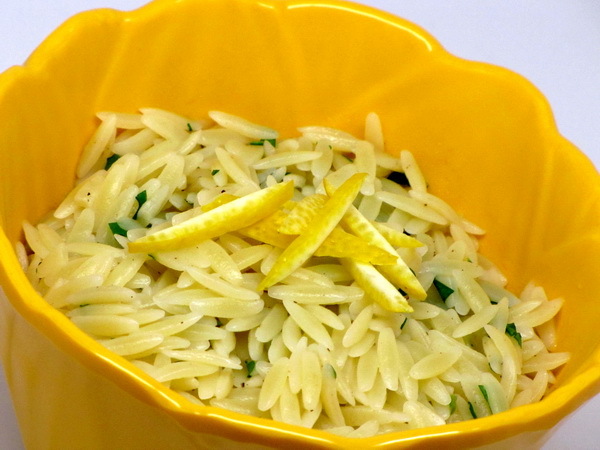 Orzo is just one of my most favorite side dishes. 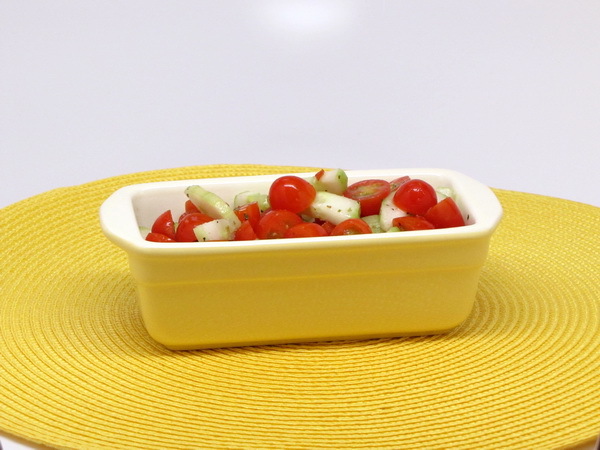 It has to come in smaller portions nowadays, but it still fit into the meal plan, especially when served simply with lemon and cut up herbs. Cook pasta according to package instructions. Drain and mix with the remaining ingredients.